Rice-growing season has only just begun, but this year's first crop of rice paddy art, which is created by planting various colors of rice in the field, has already started to emerge. 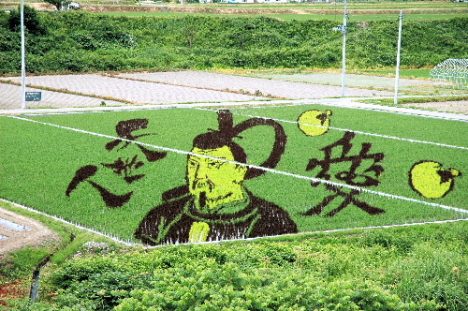 In the Yamagata prefecture town of Yonezawa, an image of 16th-17th century samurai Naoe Kanetsugu has appeared in a field near the Onogawa hot spring. The samurai, whose image is based on a portrait housed at the nearby Uesugi Museum, appears along with a pair of fireflies and the kanji characters for "Love" and "Tenchijin," the name of an NHK drama about Naoe Kanetsugu that will air next year. 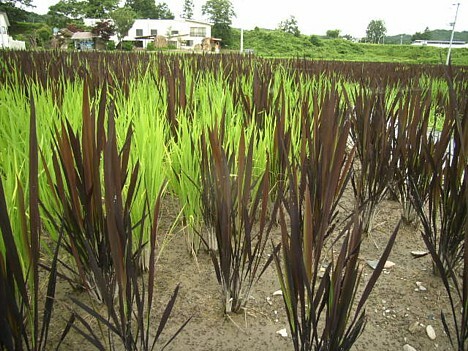 The rice will be harvested in October. 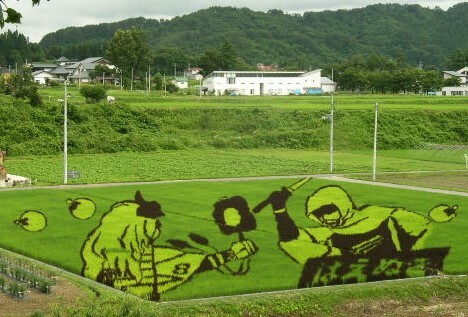 This year marks the third time that crop art has been grown in Yonezawa. Here are a few photos of works from the past two years. 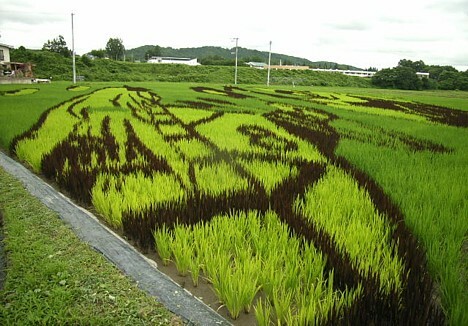 In recent years, a growing number of local governments around Japan have started organizing rice paddy art projects as a way to attract tourists and educate people about rice farming. Look for more rice paddy art to crop up in the coming weeks. 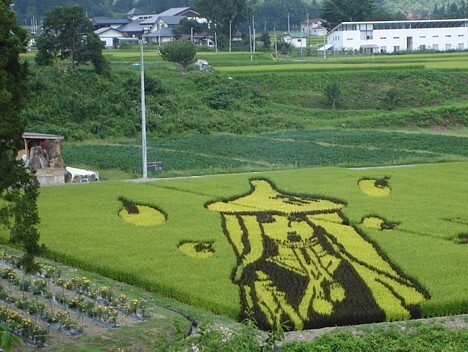 Rice paddies as art « Horseman, Pass By!